The popular festivals trace their origins back to the tradition of communities of paying tribute to their patron saints, expressing their gratitude for blessings obtained. During the event the requests for peace, good health, and wealth are renewed. 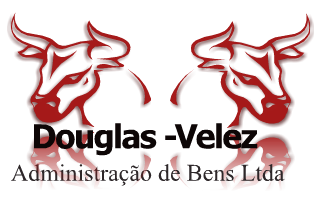 The centuries old custom was inherited by the Portuguese and has been changed through the years. Originally the festival presented just people praying and chanting to their patron saints, but with time, stands selling drinks and food appeared, giving to the festival an entertainment characteristic. The songs are no longer strictly religious ones. On the streets can be heard the the typical capoeira and samba beats along with other rhythms. These changes transported the festivals beyond the communities and churches’ largos into the streets. Nowadays they are registered by the curious eyes of tourists and by TV cameras from all over the world. 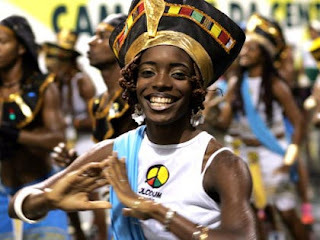 They come to Salvador to appreciate these moments, which express so well the icons of the local culture such as Candomblé, Catholicism, gastronomy, dancing and music. The festivals take place all through the year, without ever losing their enthusiasm. These guarantees a good time from January until December, for both the faithful and those who come only to visit. Salvador provides a million reasons for a good celebration and some of the best-known popular festivals are Bom Jesus dos Navegantes, Nosso Senhor do Bonfim, the Yemanjá festivity and Nossa Senhora da Conceição. 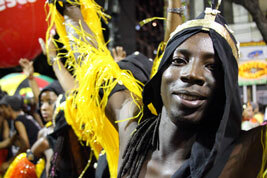 Salvador is a land of all saints and the people celebrate accordingly. It shines with a magical glow that invites every person from every corner of the earth to find out why Salvador has been named the Land of Happiness.